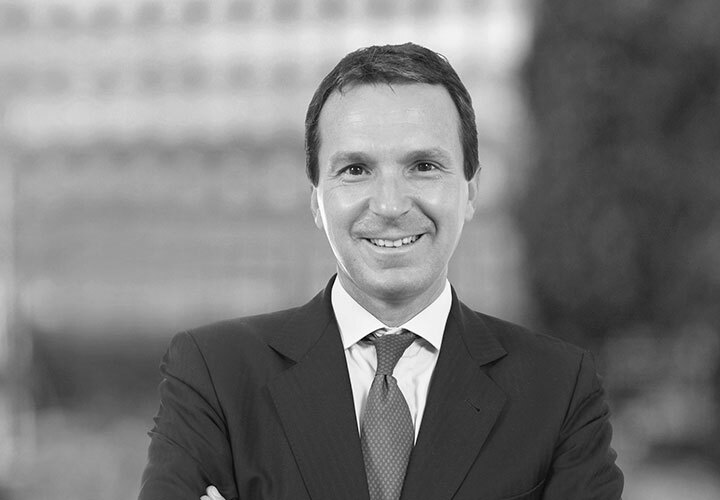 Gianluca Fanti is an Italian qualified lawyer with almost 20 years of experience. He specializes in banking and structured finance transactions with a focus on securitization transactions, project bonds and distressed assets disposals and acquisitions. He also has extensive experience in banking matters, including general lending, real estate finance, acquisition and leveraged finance and debt restructuring. Gianluca assists arrangers, originators, issuers and credit enhancement providers on a broad range of securitization transactions including project bonds, RMBS, SMEs, consumer loans and leasing receivables securitizations. He also advices Italian and global investment banks, special opportunities funds and hedge funds on sale and acquisition of NPLs and distressed assets, distressed real estate projects and debt trading. Gianluca is also recognized as a highly regarded lawyer in Banking, Structured Finance and Securitisation and Real Estate Finance according to IFLR1000 2018. According to Chambers Global 2016, Gianluca "is commended for being committed and finding solutions in complex situations" and according to Chambers Europe 2015 he "has a commercial approach and is well liked by clients" and is "noted for his skills in securitisation". 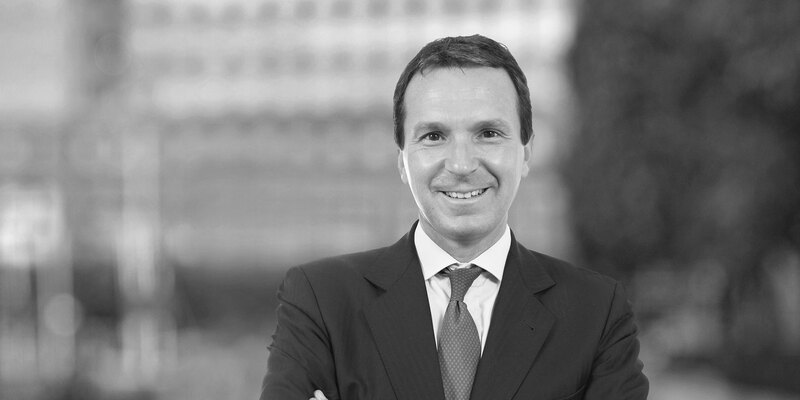 Gianluca has also been named "Banking Lawyer of the Year" in 2015 by LegalCommunity. Gianluca assists arrangers, originators, issuers and credit enhancement providers on a broad range of securitization transactions including project bonds, RMBS, SMEs, consumer loans and leasing receivables securitizations. Gianluca advices Italian and global investment banks, special opportunities funds and hedge funds on sale and acquisition of NPLs and distressed assets, distressed real estate projects and debt trading. Gianluca has extensive experience in banking, acquisition and leveraged finance, investment grade financing and real estate finance deals and regularly advices financial sponsors, principal investors, lenders and borrowers in domestic and cross-border transactions. Gianluca works with a diverse group of clients, including: Banca Monte dei Paschi di Siena, Bank of America Merrill Lynch, Citigroup, Crédit Agricole, Deutsche Bank, Gruppo Cassa di Risparmio di Asti, HSBC, Intesa Sanpaolo, Mediobanca, Morgan Stanley, Oaktree, The Royal Bank of Scotland, UBS Limited, UniCredit and UniCredit Leasing. Gianluca advised a primary financial institution, as senior lender, in connection with the €2.2 billion securitization of NPLs, UtP loans and leasing receivables, acquired by Atlante II Fund from Nuova Banche Marche S.p.A., Nuova Banca dell’Etruria S.p.A. and Nuova Cassa di Risparmio di Chieti S.p.A., following the opening of the resolution procedure (procedura di risoluzione) by the Bank of Italy. Gianluca advised doBank S.p.A. in connection with the €17.7 billion securitization of three non-performing loan portfolios originally owned by UniCredit S.p.A.
Gianluca advised UniCredit in connection with the successful disposal to a third party investor of secured non-performing corporate loans owned vis-à-vis a debtor incorporated in Spain and subject to insolvency procedure under Spanish law. Gianluca advised UniCredit S.p.A. in connection with the successful disposal of secured and unsecured non-performing shipping loans owned vis-à-vis an Italian shipping company to a primary international investment bank, for a total value of around US$45 million. Gianluca advised Deutsche Bank in connection with the sale of 8 portfolios of secured and unsecured non-performing loans to Banca IFIS S.p.A. with an aggregate nominal value of approximately €413 million. Ongoing assistance to UniCredit S.p.A. in relation to several disposals of secured and unsecured non-performing loans owned by the bank vis-à-vis corporate entities for an aggregate nominal amount in excess of €300 million in the second half of 2016. Gianluca advised UniCredit in connection with the successful sale to Balbec Capital of a portfolio of non-performing unsecured loans granted to Italian small and medium-sized enterprises for a total value of around €570 million. Gianluca advised UniCredit and The Royal Bank of Scotland in connection with the trade of Grand Hotel Molino Stucky receivables arising from a real estate loan in the context of the Grand Hotel Molino Stucky's "in concordato preventivo" procedure. Gianluca advised UniCredit Leasing S.p.A. and UniCredit S.p.A. in connection with the successful disposal to Cerberus European Investments, LLC of a portfolio of approximately 40 real estate assets for a total value of approximately €205 million. Gianluca advised The Royal Bank of Scotland PLC and UniCredit S.p.A. in connection with the disposal of a syndicated mortgage loan granted to Grand Hotel Molino Stucky S.r.l., a company of the group "Acqua Marcia". Gianluca advised Pitagora, as originator, and Banca IMI, as arranger, in connection with the take out of a securitization of consumer receivables, originated by Pitagora and assisted by the assignment of up to one fifth of the borrowers’ salary or pension or by payment delegation, originally implemented by the special purpose vehicle Annette S.r.l. through the issuance of asset backed partly paid notes for a total value of €525 million. Gianluca advised Cassa di Risparmio di Asti and Cassa di Risparmio di Biella e Vercelli – Biverbanca, as originator and underwriter, and UniCredit, as arranger, in connection with a multi-originator revolving securitization of fondiari mortgage loans, ipotecari mortgage loans and unsecured loans issued by Cassa di Risparmio di Asti and Cassa di Risparmio di Biella e Vercelli – Biverbanca to Italian SMEs, for a total value of around €1.2 billion. Gianluca led the team which advised Banca IMI, Citibank and Deutsche Bank, as arrangers and senior notes underwriters, in connection with the refinancing of two portfolios of performing financial leasing and corporate loans of various nature originated by GE Capital Interbanca Group in the context of the acquisition of GE Capital Interbanca group by Banca IFIS S.p.A.
Gianluca led the team which advised Banca Monte dei Paschi di Siena S.p.A., as originator, arranger and sole underwriter in connection with a securitization of a portfolio of loans granted to Italian small and medium-sized enterprises for a total value of around €1.7 billion. Gianluca advised UniCredit Leasing in connection with the sale of V Palazzo Uffici, headquarters of energy company Eni, to Pegasus, a real estate alternative capital fund managed by Kryalos SGR S.p.A. Leading Lawyer: Chambers Europe 2018, Chambers Global 2018. Highly regarded: IFLR1000 2018. Highly regarded: IFLR1000 2018. Recommended: The Legal 500 2018. Banking Lawyer of the Year: LegalCommunity 2015.